Leading Manufacturer of oats dehusking machine from Vadodara. In the field of manufacturing and trading, our company offers supreme quality Oats Dehusking Machine. This machine peels off the oak husk from oak fruit to obtain dehusked oak fruit via hydraulically controlled dehusking devices. An operator is required to handle the machine during the dehusking process. This power operated dehusking machine operates on 1-phase, 1 hp electric motor. It consists of main parts like frame, electric motor, speed reduction unit and dehusking unit. Avity Agrotech is a pioneer in India for the technology and process for de-husking of oat grains. The oat grain is cleaned, de-stoned, de-husked and the husk is removed to give a pure product of oat kernels free from fibers and any impurities. Complete machinery and equipment for capacities up to 1500 kgs per hour can be supplied, installed and commissioned. 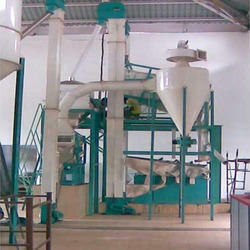 Similar process machinery and equipment is available for sunflower, mustard and specific millets. Looking for Oats Dehusking Machine ?